Be careful, schedule Portugal's hours! Please meet at the following point at minimum ten minutes before departure. Are you ready for the best Boat Party in Lisbon? 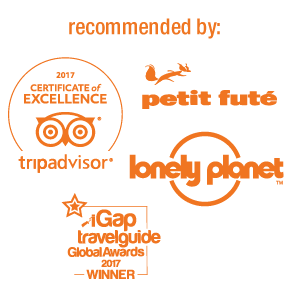 We have been running booze cruises and boat parties in Portugal's capital since 2013, having a reputation of being one of the best things to do in Lisbon. The Lisbon Boat Party starts every Thursday from 7:00 PM to 11:00 PM and grants you a free entrance ticket into the best club in town for that night in the form of an exclusive bracelet. Upon the boat you will pass monuments such at the 25th April Bridge and the unique Belem district. Once the sun sets you will be able to see from Lisbon to Santa Apolonia. Party beside the 7 hills of Lisbon. The ticket onboard includes a welcome drink, and a drink during the night. The bar onboard will be open all night to purchase drinks and appetizers and more. Once the boat has docked, there will be a club nearby that can be accessed free to continue the party. Enjoy this 4 hours along with with a live DJ while feeling the summer vibes and don't miss out this tour, because you have not partied in Lisbon until you have been on a booze cruise with us! Roll passed the 7 hills of Lisbon. Party on board with two included drinks to begin the night. Enjoy the after party at the best club in the city. Dance to a famous local DJ on board providing the tunes. Don't bring drinks on board. Come to the meeting point some minutes before. Entrance to one of the best clubs in Lisbon. Transportation to the boat or to the party afterwards. Dinner (it´s available for purchase).